This schematic organizes the key concepts in this book into a coherent structure. 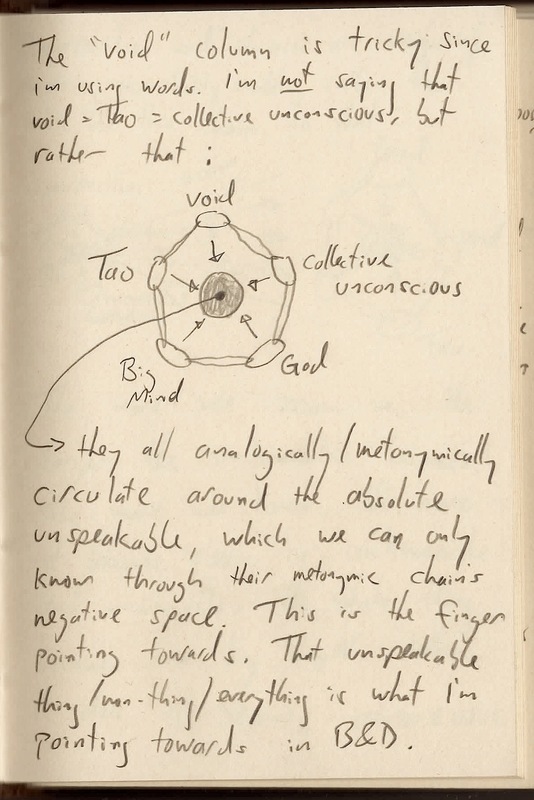 Visualizing each idea in this form allows me to better understand the relationship between consciousness and unconsciousness, being and death, and self and non-self, and where each concept falls in the spectrum. I call this schematic the “Dance of Spirit,” which is a detailed version of the inward / outward respiratory process as it is manifested in our lives. The Dance of Spirit schematic is “unfolded” so it can be more legible. Its content, however, is concentric rather than linear. 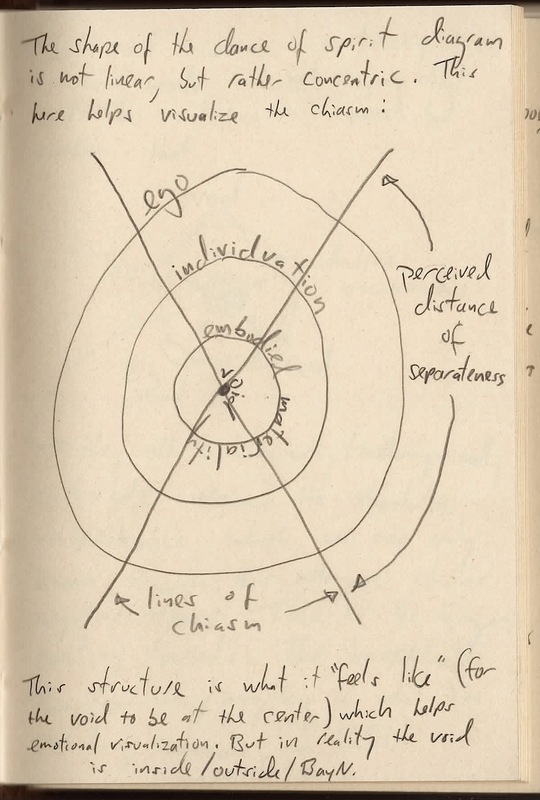 This diagram helps me visualize each concept’s spatial relationship with one another. This is how the Dance of Spirit feels – with the ego category on the outside ring, and the void category at the very center. This structure depicts how two points on the ego-level can feel so separate, while all points at the void-level are identical. This page clarifies what’s being said in each category, specifically the void-level category. I’m not saying that each concept is identical. Rather, each idea in the void-level category is analogically linked to the others through metapattern. All of these terms, in concert, gesture toward the unspeakable.